Ellen Pearce is Director of Vitae and CEO of CRAC: the Career Development Organisation which manages Vitae. She is responsible for the strategy, work and activities of Vitae which aims to enhance the quality and output of the research base, through supporting the training and development of world-class researchers. Working in the area of personal, professional and career development for researchers since 2002, Ellen has led several key initiatives in the last few years. Currently, she leads the process for UK institutions to gain the European HR Excellence in Research Award, now held by over 80 UK organisations. 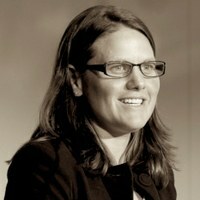 She is a member of the EURAXESS steering group and a European peer reviewer for the HR Excellence in Research Award. She is a contributing author to ‘Achieving Impact in Research’ (Sage, 2014), has worked on the ‘What do researchers do?' publication series, and has co-authored ‘HR strategies for Researchers: A review of the HR Excellence in Research Award implementation activities across Europe’ (2013), ‘The visibility of researcher development in UK higher education institutions’ strategies’ (2011) and ‘Enterprise at work: exploring intrapreneurship in researcher development' (2008). She has led work to enhance doctoral employability through internationally applicable training and development support and to explore the experiences and training needs of internationally mobile researchers.